ASSET is a paid internship program allowing students to earn while they learn. Students alternate for eight weeks in the classroom and eight weeks with their sponsoring Ford dealer over a two year period. At the end of the two years, they earn an Associate of Applied Science Degree and valuable in dealer experience. What is the purpose of Ford ASSET? 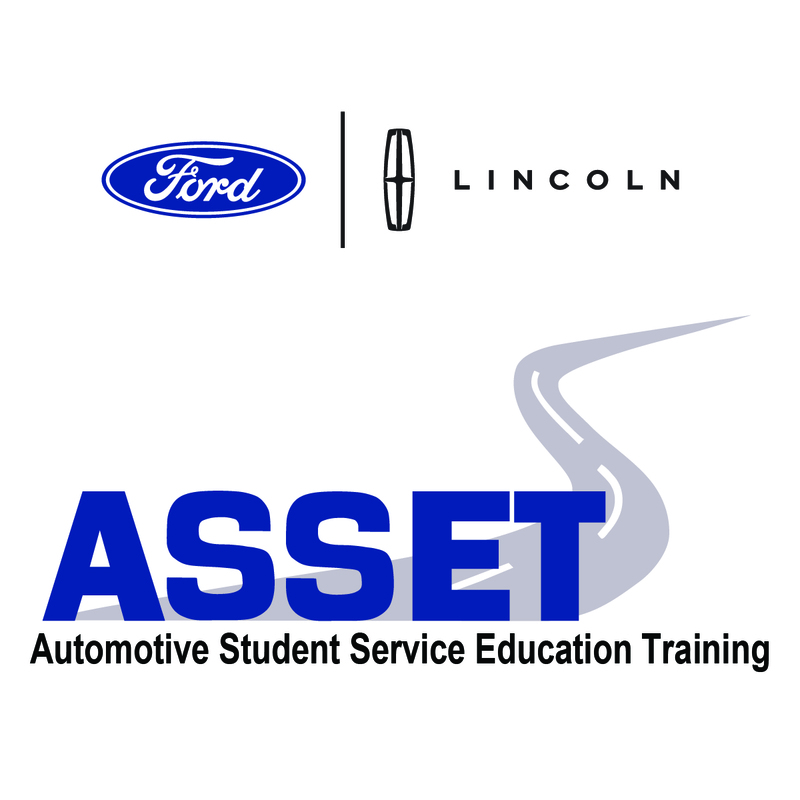 The purpose of Ford ASSET is to upgrade the technical competency and professional level of incoming students. 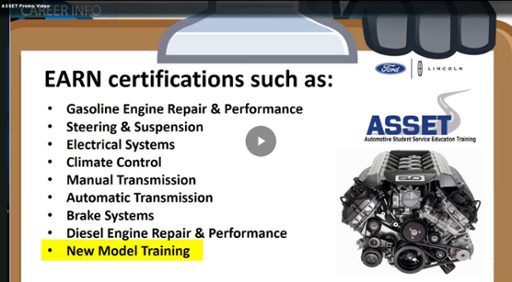 Ford ASSET trains students to diagnose, service and maintain Ford vehicles using recommended procedures, special tools and service information. The five-semester program includes approximately half the time designated for technical academic training at Cuyahoga Community College. The remaining time is allocated for on-the-job experience at the sponsoring Ford dealership. Each block of technical training and general education coursework is followed by work experience that reinforces the technical training.